Music and technology have always had an intimate relationship. Musical notes must have a certain mathematical ratio between them before they sound pleasant as a group of played notes. A musical instrument can be viewed as a mechanical device arranged to produce these pleasant notes according to the artistic intent of the musician. Science has a lot to do with basic sound production, but the technology of instrument making has been elevated to an art form in which science alone cannot always explain its intricate abilities in the hands of a skilled musician. 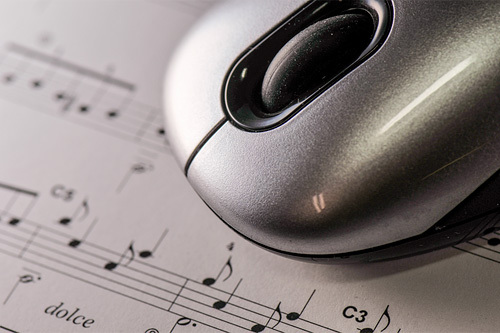 Our view at AIMS is that technology has an additional role to play when it comes to music education and performances. How do we make music tutoring more engaging and effective to the student? How do we capture and make the essence of a music lesson last beyond the short session with the music teacher. Wouldn’t it be nice if the teacher doesn’t have to repeat the same lesson the next time? What would it take to enable musical rehearsals without all the musicians physically present? Is it possible to have an electronic music score that helps both learning and performing without being a distraction or nuisance? We believe that these questions should be raised and discussed among all interested parties, especially the professional musicians, teachers and students. An honest and unbiased opinion will be formed so that the technological solutions and aids provide a meaningful improvement to teaching, learning and performing without diminishing the artistic value of music.